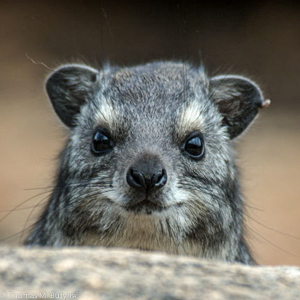 Staff - Lolldaiga Hills Ltd.
Tom Butynski (PhD) is an American conservationist and ecologist who has worked in Africa for 42 years (mostly in Botswana, Kenya, Uganda, Tanzania and Equatorial Guinea) and in Saudi Arabia for 3 years. 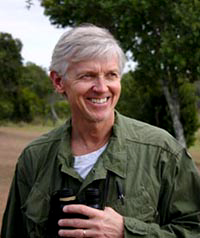 He has more than 170 publications and is a member of four IUCN/SSC Specialist Groups (Primates, Antelopes, Afrotheria, Wild Pigs) and of the Executive Committee of the IUCN/SSC Section on Great Apes. He has served as Director of the Impenetrable Forest Conservation Project (Uganda), Director of the Institute of Tropical Forest Conservation (Uganda), Director of Zoo Atlanta’s Africa Biodiversity Conservation Program, Director of Conservation International’s Eastern Africa Biodiversity Hotspots Program, Director of the King Khalid Wildlife Research Centre (Saudi Arabia), Vice-Chair of the Africa Section of the IUCN/SSC Primate Specialist Group, Senior Editor of the journal African Primates, and Editor of Mammals of Africa. 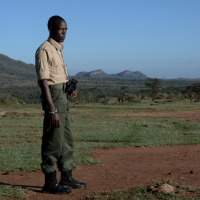 At present, he is Co-leader of the Eastern Africa Primate Diversity and Conservation Program, and Director of Research at the Sustainability Centre Eastern Africa (Kenya). 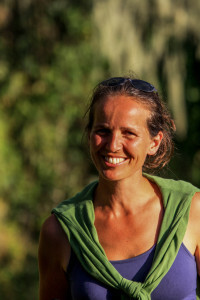 Yvonne A. de Jong (PhD) is a Kenya-based Dutch primatologist who has worked in Africa for more than 15 years. She is the co-leader of the Eastern Africa Primate Diversity and Conservation Program, member of three IUCN/SSC Specialist Groups (Primates, Afrotheria and Wild Pigs), member of the Nocturnal Primate Research Group at Oxford Brookes University, collaborating Scientist of the Institute of Primate Research in Nairobi and member of the Primate Task Force of the Kenya Wildlife Service. Her main research focus is the biogeography, diversity and conservation of eastern Africa’s primates and several other groups of large mammals, including the warthogs. De Jong has over 25 publications and blogs, in joint effort with Tom Butynski, for the National Geographic Explorers website.